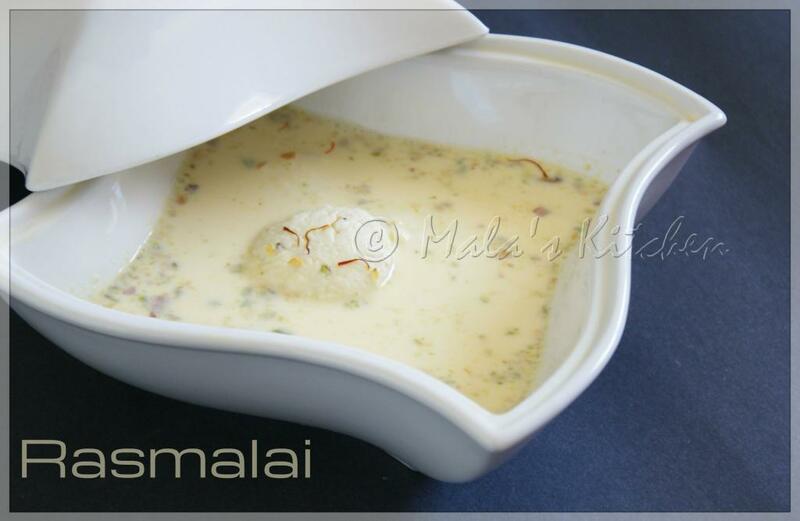 Rasmalai is a Indian sweet dish. Made it for Diwali and never got time to post it. Homemade is always fresh and it came out tasty too. Intially i was thinking that this is difficult dessert to make at home. I tried after much reluctance and came out really nice. Also it is quite easy to make and doesn’t take more than 30mins. I was so excited to try this in my kitchen. Take a large non stick pan add milk boil then add condensed milk bring to boil the milk becomes little bit thick then add almond and pista pieces and kesar milk stir well , boil & switch off the flame. Take a large colander or cheese cloth or muslin cloth (i used cheese cloth available here in "Bed Bath & Beyond" store) strain the curdle milk then turn on the tap water gently rinse becoz lemon taste removes. This is one sweet that I can confidently make now. Initially even I was skeptical to make it. But now that we have tasted the real deal I hate going to shop for Rasmalai. The homemade tastes so tasty and soft. Lovely pics. Such an irresistible rich looking rasmalai, love this spongy dessert. Rasmalai is our fav too, loved the recipe totally..
My hubby and daughte rlove this dessert, they always order this when we are in India.